Pennsylvanians played an important role in the development of the labor movement, and the Commonwealth was the site of some of the largest strikes in the history of American labor. 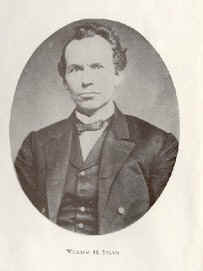 William H. Sylvis, from Indiana County, was a founder of the Iron-Molders' International Union, and he later led the National Labor Union in 1868-69. 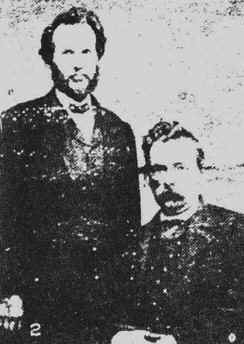 Uriah Stephens of Philadelphia and Terence V. Powderly of Scranton were leaders of the Knights of Labor, the most important national union between 1871 and 1886. At their peak in the mid-1880s, the Knights had about 700,000 members. Pennsylvanians played an important role in the formation of the Amalgamated Association of Iron and Steel Workers in 1876. Pennsylvania's anthracite miners in Schuylkill, Carbon, and Northumberland Counties organized the Workingmen's Benevolent Association in 1868. Paperback edition was published in 1986 by "the Sylvis Society"
William H. Silvis (November 26, 1828July 27, 1869) was born in Armaugh, Indiana County, Pennsylvania, to Nicholas Silvius and Maria (Mott). Nicholas (#349) was but a boy of five when his father, Henry (#63), died leaving a large family of children to be raised by his widow, Margaret (Schaeffer). Nicholas learned the trade of wagon making from his cousin, Adam Silvius, and went all over the country looking for work because the little town of Armaugh did not have much need for wagon makers despite the early promises of work from the building of the western branch of the Pennsylvania Canal. The boom did not materialize so he moved his family to the town of Mauch Chunk [now Jim Thorpe] in Carbon County. There was a canal there linking the anthracite coal fields to the city of Philadelphia. This coal heated the citys homes so it looked like a promising place for a wagon maker. But, in 1835, the Irish workers (later known as the Molly McGuires) began strikes which spread to many different trades in the area and did not bode well for a man struggling to keep his young growing family together. We went to Lycoming County Court House in 1993 to check this information. The deed says: Sylvis, Maria, by Trust from B. F. Pawling, Trustee of Maria Sylvis; the transaction was dated May 27, 1841, and recorded June 9, 1841. It was Lot #2 containing ¼ acres "for the use of Maria Sylvis and her heirs." This record is found in Williamsport, Pennsylvania. I found no record of what became of this lot or whether Maria lived there after her husbands death or not. At any rate, Mr. Pawling took young William in at the age of 11 years and trained him in farm chores in exchange for the use of his books and whatever education Mr. Pawling could afford to give him. (We have driven through this White Deer Township in Lycoming County, Pennsylvania, where the Sylvis family lived and it is a beautiful area.) It is interesting to note that the Sylvis named one of their sons Paulding B. Sylvis, and another Andrew Jackson. The son, William, seemed to name his children after famous people including one of his political heroes: Henry Clay. When the credit bubble burst in 1837, disaster overwhelmed the great businesses of large citiesso naturally Sylvis little wagon shop went belly up. Young William stayed with the family of B. F. Pawling for six years. When he became 18, he started helping his father in his re-established wagon shop but he was unenthusiastic about following his fathers trade so he got a job as helper in Forest Iron Works. He was turned over to a master whose apprentice he was to be for the next three or four years. In those days, apprentices were paid at the end of the year, after a years work was completed. However, before the year ended, the company failed and the young apprentice was very disillusioned. In addition to no pay, William was now without a job and with an uncompleted apprentices term. Finally, in 1844, he got work in the new, sparsely-settled county of Clearfield, just west of the area where his mother was given her ¼ acre and little house. He completed his apprenticeship near Curwensville in the foundry of David Harvey. This foundry turned out the first iron plow in the country. It turned out 200 iron stoves in one season. William Sylvis earned between $2 and $4 a week and became an expert in stove and hollowware molding. When he finished, he received a "freedom suit" of broadcloth, a white shirt, woolen hose, calfskin boots, and a high, silk hat. This meant that he had completed his apprenticeship and was on his way in the infant industry of iron molding. The furnaces where Sylvis next worked not only poured out pig iron but also had forges where smiths pounded out axes, shovels, and saws. Sylvis had a very special talent for organizing and motivating workers for better working conditions and hours. He was ahead of his time in that he accepted a larger role for women and was a steadfast friend of Susan B. Anthony. He was very deeply influenced by the temperance movement and was a Sunday school teacher in the Methodist Church for many years. When he was ready to marry, he went back to Blair County and married Amelia A. Thomas; on April 11, 1852, they were married in Blair County and soon moved back east and settled in Philadelphia. Amelia bore him four boys: Henry Clay born April 11, 1852; Oliver Perry born August 23, 1855; Lewis Clark born April 8, 1857; and John Martin born August 30, 1859. The last three were all born in Philadelphia. 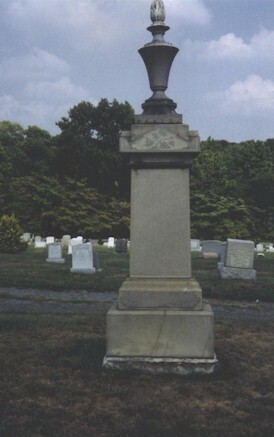 In October 1865, Mrs. Sylvis died. About a year later, he went back to Hollidaysburg and wooed and married Florrie Hunter who was eight years his junior. He eventually brought the family back to Philadelphia, and by her he had one more son: Casper Dent. In July 1859, Sylvis address to the Iron Molders of America became the preamble to the constitution of the new union and, at its second convention in1860 in Albany, he was elected treasurer. When the Whig party ceased to exist, he became a Union Democrat and in 1860 supported Stephen Douglas in his run against Abraham Lincoln. He opposed the Civil War because he thought it would slow down the work of unionizing and getting better conditions for the working man. Once the war had begun and was in full swing, he was offered a Lieutenancy but turned it down and worked for nine months in Washington D.C. as a teamster. In 1863, Sylvis was elected president of the union, which had been decimated by the war. By 1868, he had organized 600,000 workers. For a year just after the war, he edited and wrote many articles for the Workingmans Advocate, the official organ of the National Labor Union. For several years he had not enjoyed good health and on the morning of July 22, 1869, he went to the office as usual and started working on an address he was to give at the National Labor Union, but he felt compelled to return home. At five oclock, his doctor was called. The doctor said that he had a severe inflammation of the bowels. On the following Monday, his pastor was called and in reply to an inquiry if he had any fears in view of his approaching dissolution, and if his mind was at peace, he calmly replied, "If it pleases God to take me, I have no fear of death: I believe I am grounded in the true faith: Christ has pardoned my sins." At 3 oclock he exclaimed, "Glory to God, I am going home to Christ: I know my sins are all forgiven." These were his last words. The news of the death of the great labor leader was telegraphed to all parts of the country and words of condolence soon came pouring in. Among those who sent their regrets was Karl Marx. All in the labor movement felt that they had lost their best man. Many thousands of people streamed by his coffin but the saddest of all was his Sunday School Class, a group of young boys who couldnt forget Mr. Sylvis teachings on the rewards of a life well lived. William Sylvis died at his zenithhe was not yet 41 years old. He left a destitute wife and family because he had never taken a penny for his work with the union. The union got together and paid his funeral expenses and a small stipend for his wife. His eldest son, Henry Clay, was sent to Cincinnati to live and work for relatives. 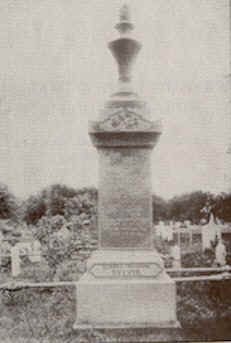 William H. Sylvis was buried at the historic Laurel Hill Cemetery [shown at the right] in Philadelphia but in 1897, his body was removed to Fernwood Cemetery in Lansdowne, a suburb of Philadelphia. The best sources for information on William H. Sylvis are: Charlotte Todes William Sylvis and the National Labor Union (1942), and his brother James C. Sylvis book entitled The Life Speeches, Labors and Essays of William H. Sylvis published at Sunbury, Pennsylvania (1872). The best of the three was written by Jonathon Grossman and is entitled William Sylvis, Pioneer of American Labor (1945). The Archives of the Iron Molders are now housed in the Sylvis Library in Cincinnati, Ohio, and a collection of Sylvis papers is also at the University of Wisconsin in Madison. Perhaps the best analysis of Sylvis political thoughts is written about in David Montgomerys Beyond Equality: Labor and the Radical Republicans. However, none of the books has a definitive genealogy of this man. Some people have wondered why this is so. 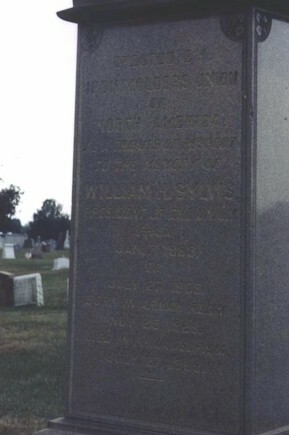 His grandfather, Henry, died when his father was a lad of five and his grandmother, Margaret, and family are not found in the census records for Westmoreland County after the death of Henry. It is thought that perhaps Margaret went to live with other family members or may have remarried. In any case, with illiteracy, scattered families, and disinterest there is ample reason for the confusion and perhaps obfuscation of this mans family history. 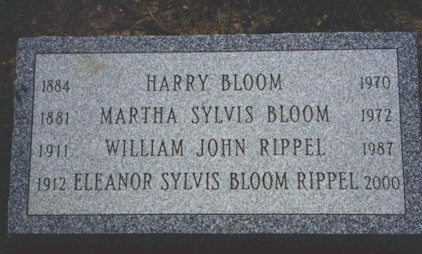 Martha Sylvis Bloom is 349.b. (1)(c), daughter of Henry Clay, son of the Labor Leader. * Picture scanned from 1958 edition of A Documentary History of American Industrial Society, ed. 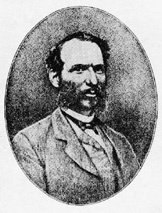 John R. Commons, et. al. (10 vols. ; New York, 1958).